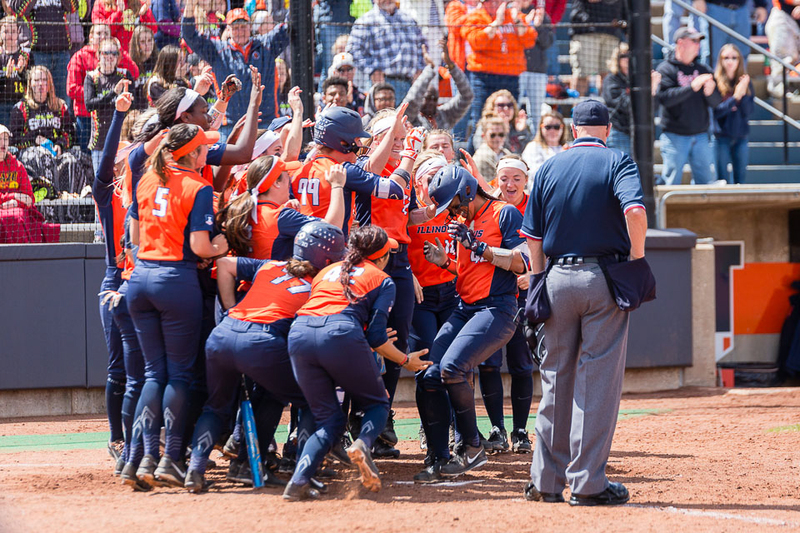 Illinois’ Nicole Evans jumps onto home plate after hitting her 52nd career home run, breaking the school record, during the game against Ohio State at Eichelberger Field on Saturday. 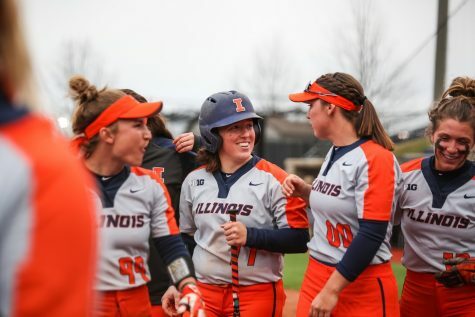 That’s the word senior Nicole Evans uses to describe her last four years as a member of the Illinois softball team. 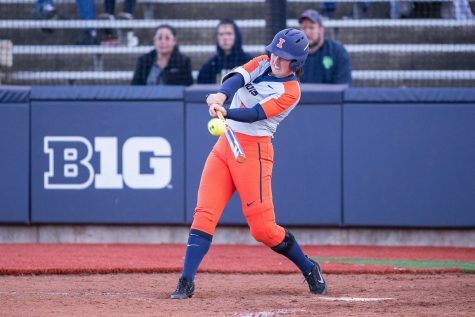 It’s not just Evans that will never forget her career at Illinois. 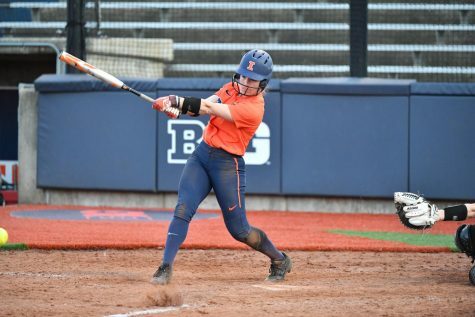 In fact, it is likely that no Illini fan who saw the Glen Ellyn, Illinois, native play will ever forget her record-setting play. Her stat line over her last four years has been nothing short of impressive to say the least. She has a career batting average of .327, 52 home runs (the most in program history), 173 RBIs (also the most in program history), and a .687 slugging percentage to go along with a .409 on-base percentage. Evans has also started 197 of the 206 games she has appeared in over her career. 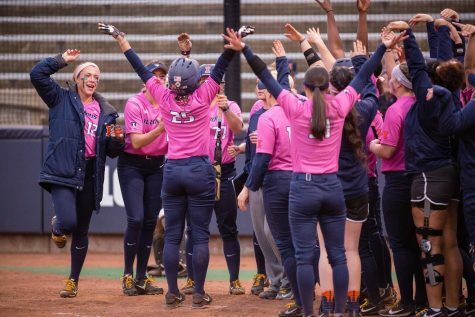 Not only has Evans built an impressive career for herself as a softball player, but she has also built ever-lasting relationships with her teammates, such as senior Ruby Rivera. This season has been Evans’ best overall with career-highs in batting percentage (.372), RBIs (55), slugging percentage (.838), walks (31) and on-base percentage (.497). Evans said that her increase in overall game knowledge has helped her this season. 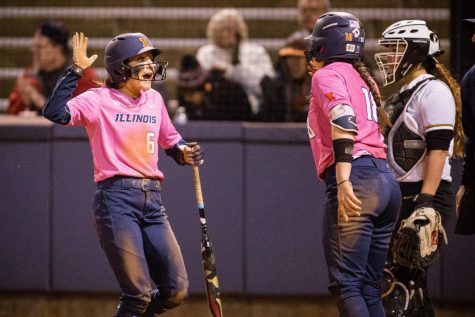 While some people choose to lead by example and stay more reserved, Illinois head coach Tyra Perry said Evans is the exact opposite. 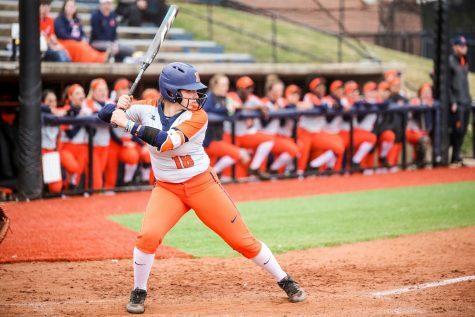 Evans has obviously been successful on the field, but off the field, her demeanor has allowed people to really get an idea for what kind of person she is. Evans was picked over 2,500 people who were also nominated. 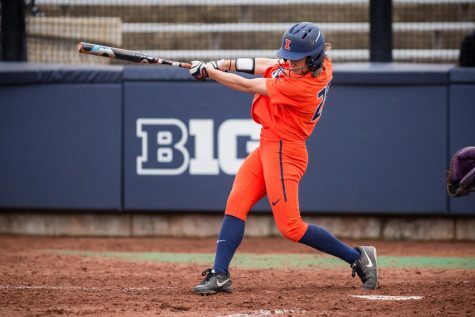 She then received the Big Ten Medal of Honor at this year’s Oskee Awards. This award also exemplifies athletes’ success on and off the field. She has also worked with the Down Syndrome Network and has served on the African-American Cultural Center Director Search Committee as a student representative. “It shocks me all the time. People congratulate me for it, and I tell them I’m just going out and doing the right thing like my parents taught me,” Evans said. When it comes to Evans’ future beyond the softball program, she is majoring in kinesiology and intends to become a sports medicine doctor or a physical therapist. 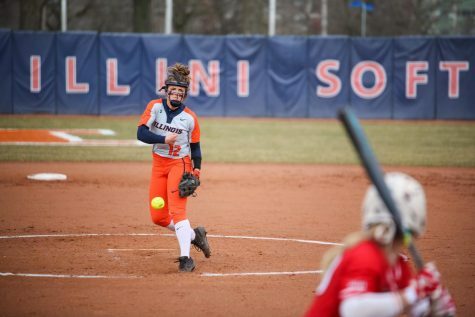 She will still be at the University come next fall as a graduate assistant, but Evans said going to Eichelberger Field as a spectator, not a player, will take some time adjusting to. “Yeah, I don’t know about that,” Evans said.